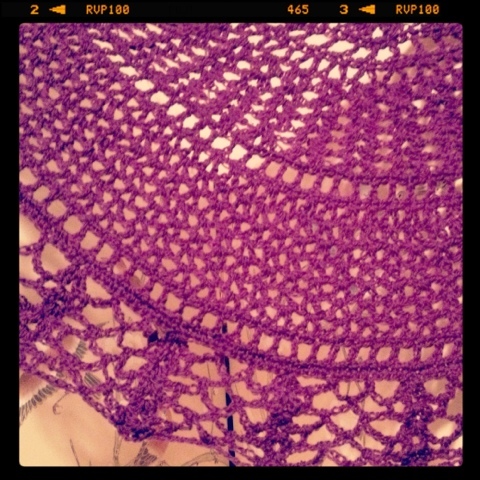 Last week I posted my finished Michele's Lace, and I have post blocking photos now too! The lace opened a lot with blocking. I took some photos with my mom modeling, and I'll get those up next week hopefully. I also finished my First Love shawl, and am currently debating about a button for it. The reason for the button is the smallish size of the shawl, which I was expecting. It might get a bit of blocking to help it. I left off the picot border, and was left with a small ball of yarn. 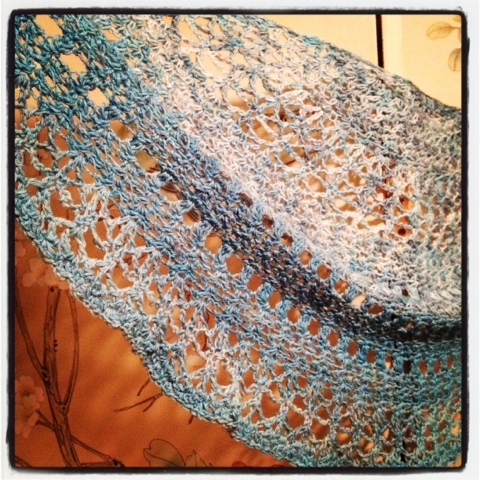 My project page on ravelry will be updated with the measurements, etc, in a few days. Thinking about new yarn is dangerous. But I'm still thinking. I've been doing really good, keeping up with and finishing projects, and I think I need a wedding de-stress-er. Pretty shawls, love the color of the first one. So soft.